We did a meta-analysis with meta-regression to evaluate the relationship between hemoglobin A1c (A1C) reduction and the primary CV outcome of cardiovascular outcome trials (CVOTs). We used a random effects meta-analysis of the 12 CVOTs to quantify the effect of A1C reduction on major cardiovascular events (MACE) risk by stratifying the difference in achieved A1C (drug vs placebo) in three strata: A1c < 0.3%, A1c ≥ 0.3% and < 0.5%, and A1c ≥ 0.5%. We found a relation between the reduction in achieved A1C and the hazard ratio reduction for MACE (P = 0.002), explaining almost all (94.1%) the between-study variances: lowering A1C by 0.5% conferred a significant HRR of 20% (95% CI 4–33%) for MACE. 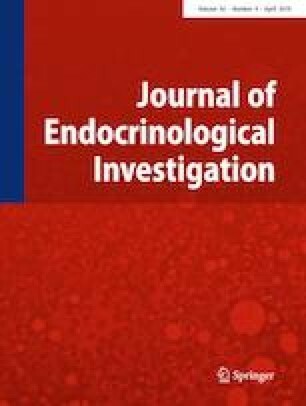 Blood glucose reduction may play a more important role than previously thought in reducing the risk of MACE during treatment with the newer glucose-lowering drugs, including peptidase-4 inhibitors, glucagon-like peptide 1 receptor agonists and sodium–glucose co-transporter-2 inhibitors. The online version of this article ( https://doi.org/10.1007/s40618-019-01047-0) contains supplementary material, which is available to authorized users. No funding was specifically allocated for this study. D.G. received honoraria for speaking at meetings from Novartis, Sanofi-Aventis, Lilly, AstraZeneca, and NovoNordisk. M.I.M. received honoraria for speaking at meetings from Lilly and NovoNordisk. K.E. received honoraria for speaking at meetings from Novartis, Sanofi-Aventis, Lilly, AstraZeneca, Boehringer Ingelheim, and NovoNordisk. P.C. declares that he has no conflict of interest. G.B. declares that he has no conflict of interest.